This week, hearts and minds across the U.S. are focused on the upcoming Thanksgiving holiday and all that it offers — giving thanks, being with family and eating lots and lots of turkey with all the fixin’s. While we at Avatier join others in these thoughts, in the backs of our minds we are also thinking ahead to next week and all of our “fixin’s” at one of the most influential events in the Identity and Access Management (IAM) industry, the Gartner IAM Summit, being held in the Octavius Ballroom at Caesars Palace in Las Vegas, December 3‐5. 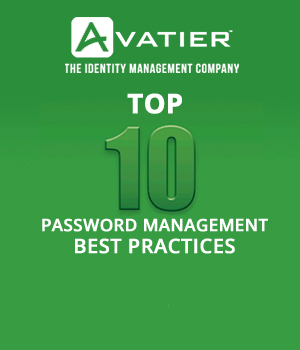 First and foremost from our “home” at booth #PR1, Avatier will be unveiling its new Compliance Auditor software, an innovative access provisioning tool that streamlines access certification management. Compliance Auditor eradicates access certification risks through software automation and enables anytime-anywhere audit controls over virtually any system, asset and physical access with the world’s first universal mobile touch interface. 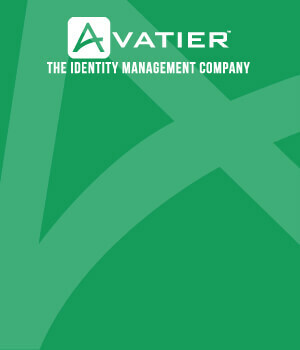 After the news from Avatier kicks off the conference on Day 1 (Monday, Dec. 3), the company will host a Vendor-User Roundtable in the Imperial Ballroom at Caesar’s Palace at 9:30 a.m. Avatier will share stories from the trenches including why enterprises are still experiencing half-completed identity access management deployments and how do you avoid traps when implementing identity management solutions. The basis for Avatier’s discussion will be experience with real customers, breakthrough results and insights from its new eye-opening survey. Following the Vendor-User Roundtable, at 10:45 a.m. in the Augustus V room at Caesar’s, Avatier will host a Solution Provider Session titled, “Leveraging Today’s Megatrends to Drive the Future of Identity Management.” The session will feature an Avatier CEO and Health Care customer who will discuss the changes in the Identity Management space. While Monday focuses on group discussions, Avatier will turn its attention to more intimate discussions on Tuesday and Wednesday. Avatier experts will hold one-on-one roadmap sessions in Room MR1 to discuss future strategic roadmap possibilities with individual IT personnel. These one-on-one sessions are by appointment only, so stop by Avatier’s booth — #PR1 — to make arrangements. Avatier’s presence at the Gartner IAM Summit isn’t all about work though… after all, it’s Vegas! And what would a trip to Vegas be without a chance to win! Visitors to our booth will have the opportunity to leave their business cards for the chance to win an iPad Mini or just bring your room drop puzzle piece to the booth to see if you’ve won! And since it’s also known as a “party town,” Avatier is hosting the ultimate identity management competition and best tailgate party in Vegas! Stop by the Avatier booth for your “Tailgate” tickets and a “Fumble Recovery” bag stuffed with goodies. Then join us for our tailgate party for music, drinks and more prizes or test your Madden NFL 13 skills and compete in our tournament. Complete information is available on the Avatier web site at Gartner 2012, but remember, it all starts with a stop at booth #PR1 at the Gartner IAM Summit. Hope to see you there. In the meantime, Avatier wishes you a Happy Thanksgiving to you and yours.